Garden Beds: Added six raised garden beds in our outdoor classroom area. 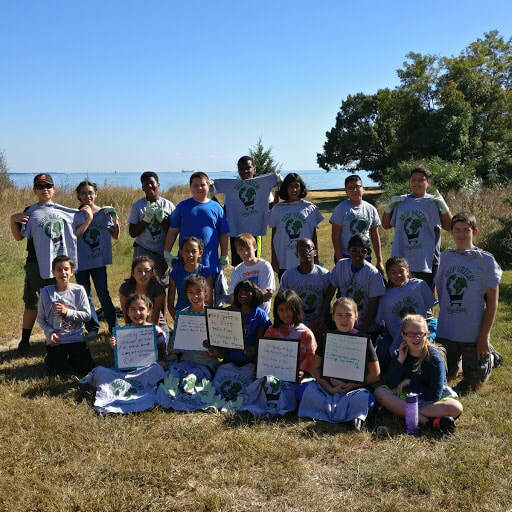 Outdoor School: All first through 8th graders attend outdoor school at Mt. Aetna Camp and Retreat Center learning about nature and environmental issues. Water bottle filling station: Installed a water bottle refilling station to help change the way students consume and perceive water. Saving Paper: All weekly school and classroom newsletter are sent home via e-mail to conserve paper. School-wide recycling program: Recycle bins are prominently placed in each classroom, offices, and hallways.